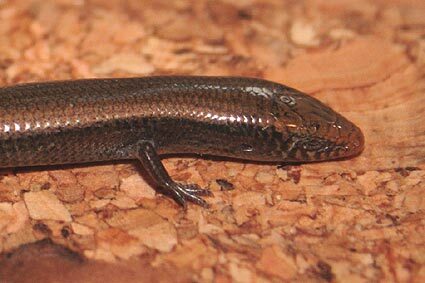 Bedriagai’s skink (also erroneously “Bedriaga”) is endemic to the southern two thirds of the Iberian Peninsula, being absent above a line roughly between Castellon and Southern Galicia. It is relatively common on the coast where it is associated with pinewoods and scarcer inland, and is found from sea level up to 1700m. 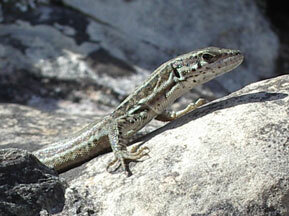 With a maximum length of 14cm it is smallish as skinks go. 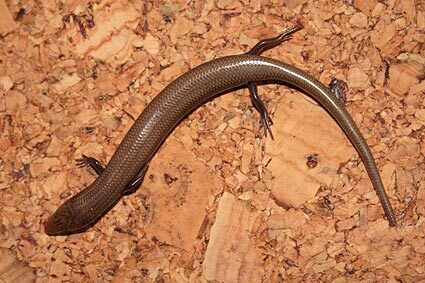 It uses its snout to burrow in the ground in search for invertebrates. Skinks are the largest group of reptiles, and represent a halfway home on the long haul of evolution from leggy lizards to legless snakes.